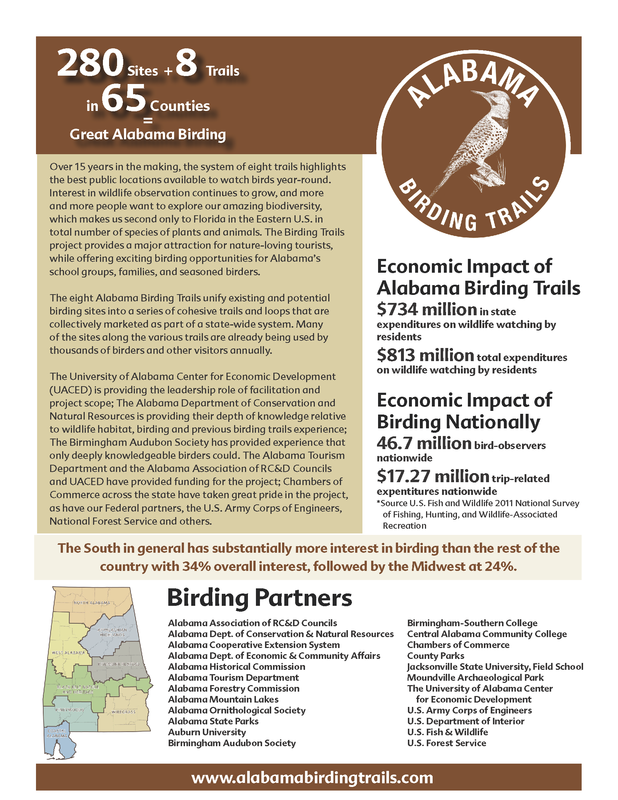 The University of Alabama Center for Economic Development is working with the Alabama Department of Tourism and Department of Conservation and Natural Resources to improve the educational resources available to tourists and area residents relative to the spectacular birding opportunities in the region while increasing the revenue associated with visitation. 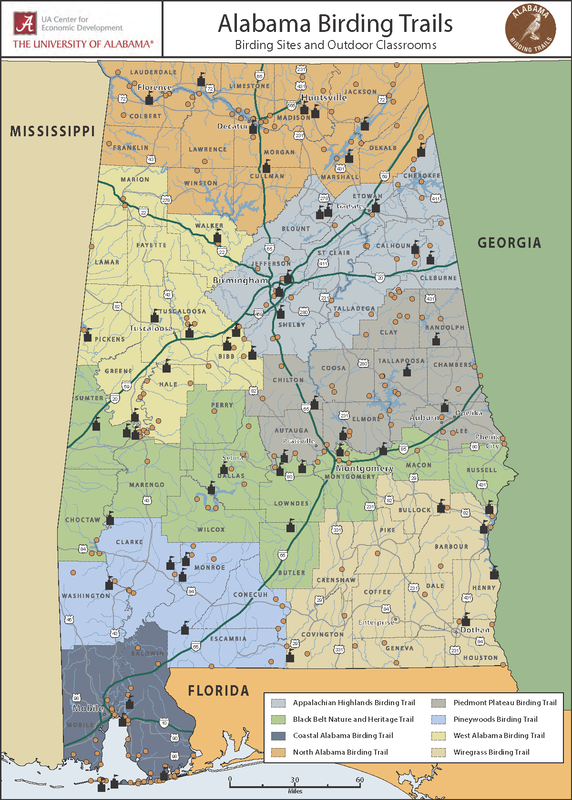 UACED is working in 65 Alabama counties which encompass eight regional birding trails to improve and promote birding. Several locations offering exciting opportunities for Alabama’s school groups including information on over 58 outdoor classrooms which brings the classroom to the outdoors! 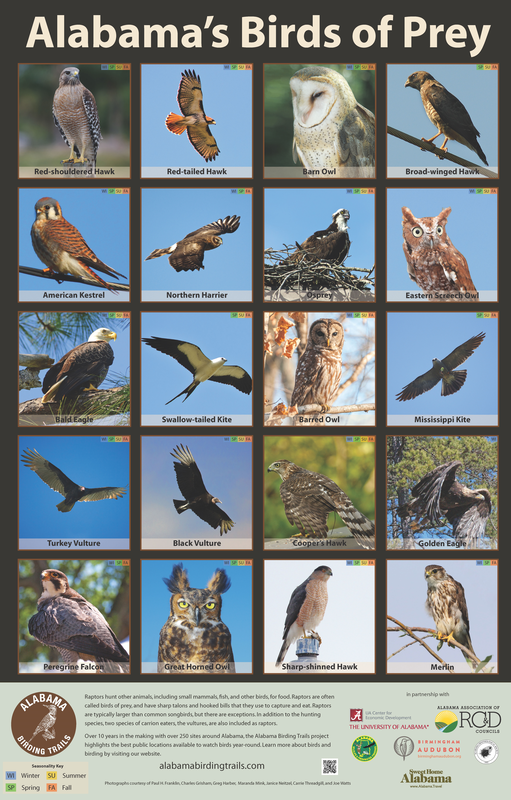 With over 430 bird species documented in Alabama, from Bald Eagles to Painted Buntings, there’s something for everyone to enjoy as Alabamians demonstrate a growing interest in wildlife observation. 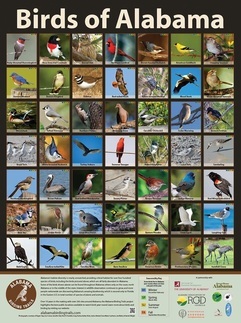 Please follow the link to visit the Alabama Birding Trails site http://www.alabamabirdingtrails.com/ . 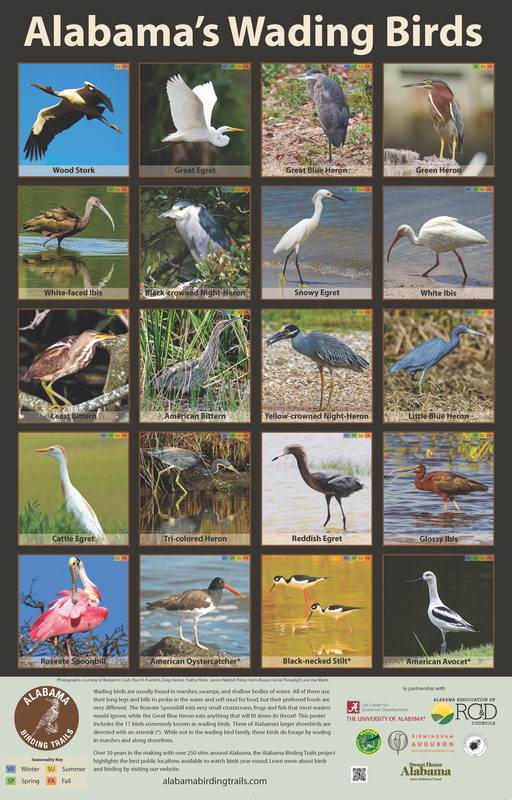 The University of Alabama Center for Economic Development (UACED) continues to work with the Alabama Department of Tourism and Department of Conservation and Natural Resources to improve the educational resources available to tourists and area residents relative to the spectacular birding opportunities in the region while increasing the revenue associated with visitation. 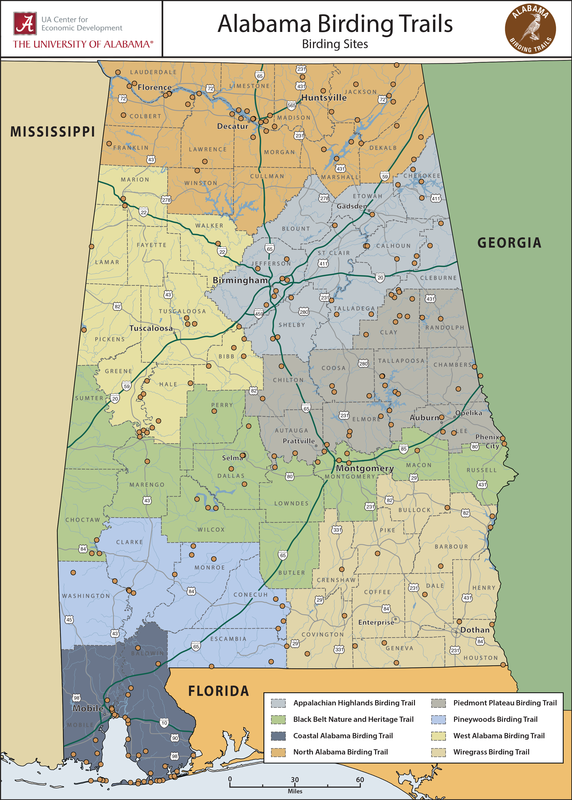 UACED is working in 65 Alabama counties which encompass eight regional birding trails to improve and promote birding. Several locations offer exciting opportunities for Alabama’s school groups including information on 58 outdoor classrooms. 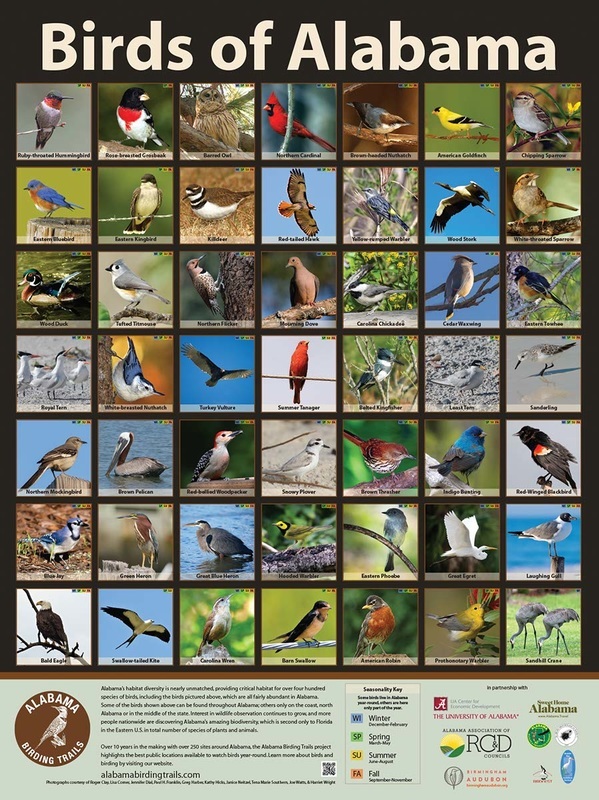 With over 430 bird species documented in Alabama, from Bald Eagles to Painted Buntings, there’s some- thing for everyone to enjoy as Alabamians demonstrate a growing interest in wildlife observation. 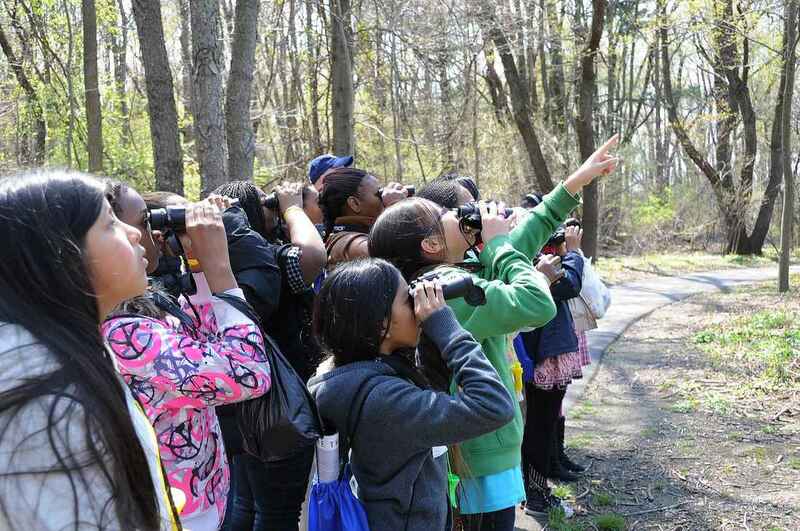 vides both a different educational experience, and offers an opportunity to acquire birding skills while engaging instruction about Alabama’s environment and natural re-sources. 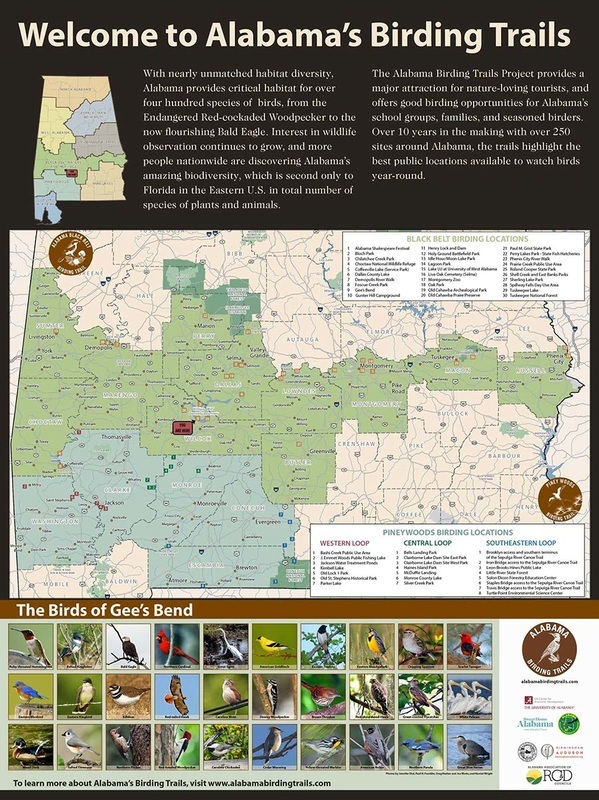 UACED and the Alabama Cooperative Extension System (ACES) are working together to distribute this new hands- on resource to teachers within the schools of the West Alabama Birding Trail Counties. ACES staff distributed this new educational tool to schools in Bibb, Fayette, Greene, Hale, Lamar Marion, Pickens, Tuscaloosa and Walker Counties in late summer to begin using during the Fall of 2018. This project is one of many that the two agencies work together on to provide resources that assist in making a difference in the lives of the citizens within Alabama. This new tool makes learning much more rewarding and fun while simultaneously enabling teachers to enrich the training tools of integrating environmental topics into the core curriculum. The organizations work hand-in-hand to offer new and innovative ways of teaching and to provide inspiration for the young citizens throughout Alabama. Being placed on the Piedmont Plateau Birding Trail will bring even more people to visit the area. It is none too soon for birding enthusiasts like Joe Watts with the Alabama Birding Trail and the Birmingham Audubon Society as Smith Mountain joins the rank of other fire towers in the state. Joe Watts, a consultant with The University of Alabama Center for Economic Development, said the state's system of trails was completed in 2013 and offers birders a variety of habitats and opportunities for seeing unique species throughout the year. Minooka Park is the newest member of the Piedmont Plateau Birding Trail ... According to Joanne Ninesling, with Alabama Birding Trails. 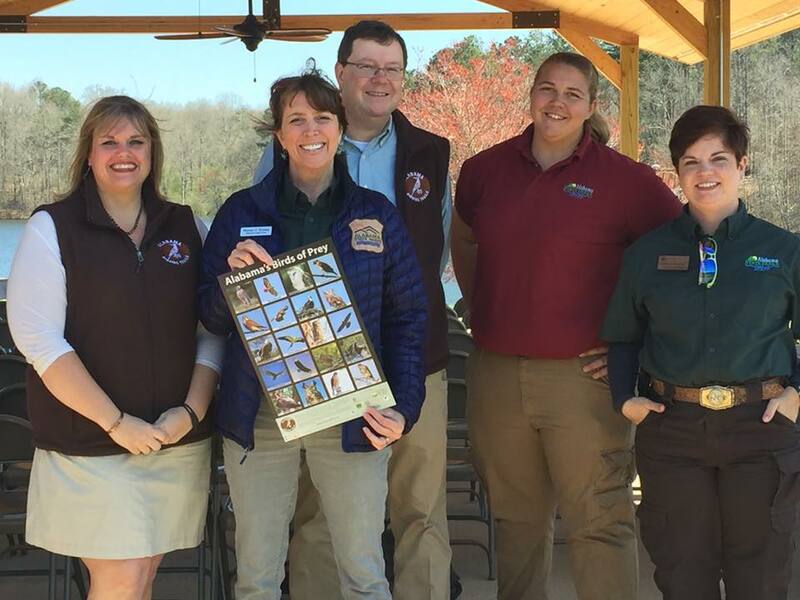 This project is a collaborative effort by the Alabama Tourism Department, University of Alabama Center for Economic Development, Alabama Department of Conservation and Natural Resources, Birmingham Audubon Society, chambers of commerce across the state, the U.S. Army Corps of Engineers, the National Forest Service and others. 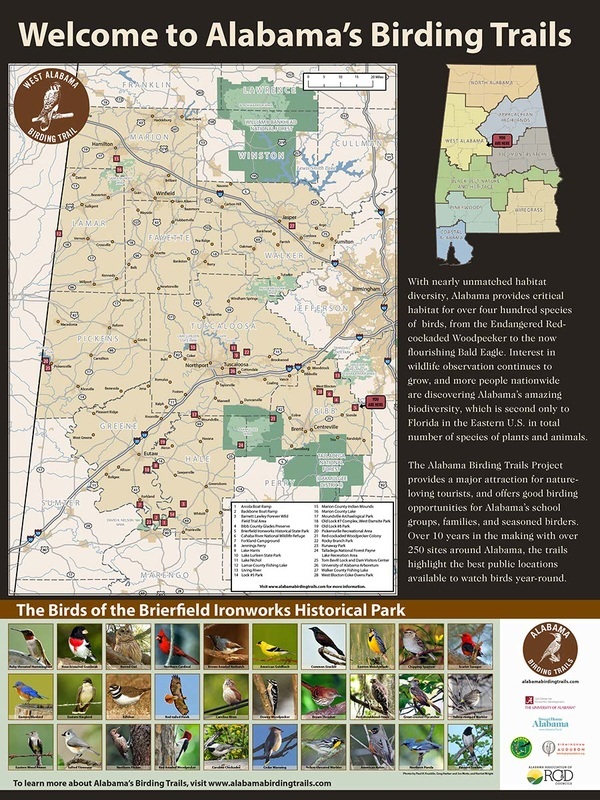 ​The Alabama Birding Trails is a partnership of the Alabama Birding Trails, Alabama Department of Conservation and Natural Resources, University of Alabama Center for Economic Development, and Birmingham Audubon. University of Alabama’s Tourism and Community Development Tourism Director Candace Johnson says everyone can learn something. Johnson also says another great thing about the outdoor classroom is it offers a different way to learn.